It has been just over one year since the first post on Meals With Mel and it has been quite a journey since then. Meals With Mel started as the brilliant idea of a friend and I can never thank them enough for that. Now one year later I have met so many wonderful people from around the world, drooled over countless recipes, and I’ve been inspired by so many of you every single day. Now to top it all off I’ve been nominated for the Sisterhood of the World Blogger Award by Catherine of Le Menu De Catherine. Catherine is living the dream in Paris and cooking beautiful and worldly dishes like Cod and Artichoke Risotto, Red Lentil and Chorizo Soup and recently a delicious looking Tunisian Salade Méchouia (grilled salad) that makes my garlic loving, pepper eating, spice loving heart jump for joy! Catherine’s post will always leave you hungry and her cool British humor always leave a smile on my face. Thank You for the Nomination Catherine!! 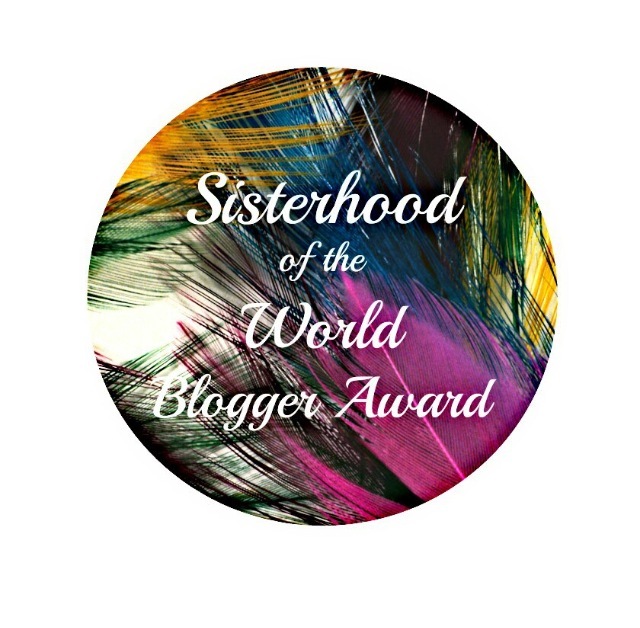 The Sisterhood of the World Blogger Award is given to women bloggers, by other women bloggers, to showcase the unique female voices across the world. As a recipient of this meaningful award I will answer the 10 questions Catherine asked, nominate 7 other bloggers and ask them 10 questions. These are the questions Catherine asked and my answers…..
1)What would be the first song in a film about your life? 2)If you could Travel anywhere on your own, where money was not an object, and safety guaranteed, where would you go? Does time travel count? If so I would go back in time to see the Dinosaurs. In reality, I have a life long dream of traveling to South Africa and swimming with a Great White Shark. 3)Desert Island Discs Calling… If you were left stranded in a desert island what would be the 8 music tracks you would keep with you. 4) What would be the most important lesson you would like to teach others? To always be kind, to always be patient, and to never give up. 5) What is your favorite cuisine and why? I live off Mexican food and I can’t go more than a week without it. I love the simplicity of the ingredients and of course all the spices. 6) What is the most important aspect of food? Good food is one of the great pleasures in life and it should be enjoyed. Enjoy the cooking process, slowly savor every bite, and share it with good friends. 7) What is the one message you would like readers to take away with them from your blog? For me, cooking is my passion. Find your passion in life and follow it because you never know where it will lead you. 8) What makes you feel empowered? 9) One combination you love that others don’t always understand? I’m sure some one out there understands this….. I love freshly popped popcorn tossed with salt and pepper, drizzled with truffle oil, and topped off with freshly grated Parmigiano Reggiano cheese. Throw in a nice bottle of wine and I call that dinner. 10) What is the best lesson you have learned from blogging? 1) What is the first thing you reach for in the morning? 2) Name an animal you think you are most like. 3) You are stranded on a desert island and can have three types of produce to cultivate what would you grow? 4) What is your favorite thing about blogging? 5) Where has been your favorite place to travel? And Why? 7) What is the most used tool in your kitchen? 8) If you could be any character in a book who would you be? 9) You were selected to go on a reality show…. What show would that be? 10) What is one word that describes your blog? My Blood Type Is Queso…. Your welcome Kathryn 🙂 I always look forward to reading you blog and what you are going to be cooking next. This is great! Thank you for your happy words, I’m chuffed that the British humour is appreciated. I love this post, I haven’t heard of Del Vikings before, I’ll be sure to give them a listen to. You deserve the recognition, keep writing! There is an old movie from 1990 “Joe vs. The Volcano” with Tom Hanks and Meg Ryan, its not cinematic genius and I’m sure it never won any awards. But I have always love this movie and there is one scene where Tom Hanks dances to the song Come Go With Me. Congratulations! I’ve loved getting to know you and your wonderful blog!